The Henry Ley Singers is an 8 to 16 voice chamber choir made up of some of the finest singers from Keble and beyond. The ensemble is named after distinguished past Organ Scholar of Keble College, Dr Henry Ley. 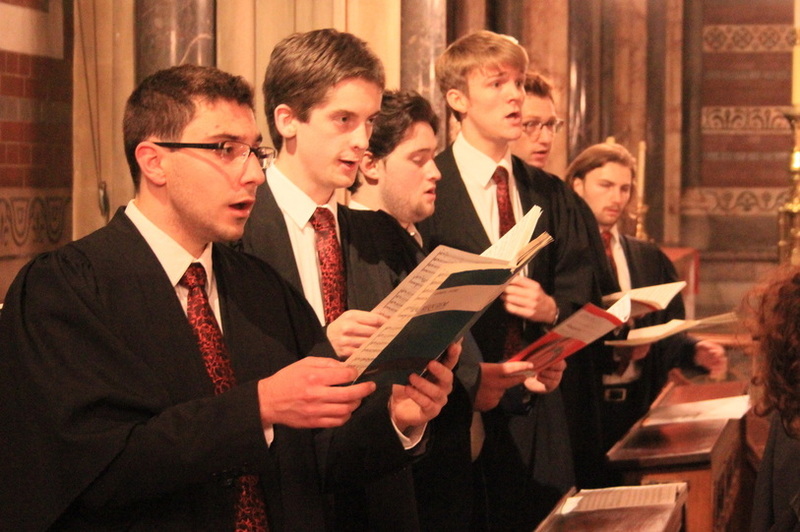 The choir performs several concerts per term, and auditions occur in 0th week of Michaelmas term. The Henry Ley Singers perform at Christmas every year outside Keble College Library, as well as performing in the Keble College Early Music Festival, and throughout the year. As part of the Britten at Keble series, the choir attended and participated in the Peter Pears day. Plans for 2015-16 include performances of Purcell's Music for Queen Mary, Lassus Lamentations, as well as new commissions for Holy Week. For more information about the choir, auditions, concerts, or for any other enquires, please contact the conductor James Hardie. You can also visit the Henry Ley Singers' website at www.henryleysingers.co.uk and read of their current projects, including the production of a CD of music by Clive Russell and Benjamin Britten with Acclaim Productions.